The fourth day of Maniacal Magento Mondays is here and we are bringing to you a very handy tool that will help you set up shop for geographically scattered customers. Now essentially when you are handling retail over the web you are going to ship your merchandise to your customers. Now you might not always be using the same logistics partner for every area. This is something that will decide the rate that you are going to offer your customers. To make this process simple we bring to your attention today MatrixRate by WebShopApps. MatrixRate is multi-rate shipping extension that will you allow you to offer customers rates based on their location. With MatrixRate you can define different shipping rates based on the destination, the weight of products, the quantity of items to be shipped and shipping method. Covers all bases it would seem. You can show multiple delivery methods for different locations, add zip code patterns filtering to determine shipping charges. This feature is known to work in different parts of the world and has been known to work flawlessly in Europe, USA and Australia. MatrixRate works on a set of predetermined shipping data stored in a csv file. It utilizes the values in the file to calculate the shipping charges. You simply key in the arrangement that you have with your logistics partner into the csv file and upload it into MatrixRate. You can decide ranges based on the country being shipped to, the region or state, the zipcode, the price range of products and delivery type available. It is really that simple. Creating the csv file is also very easy. You can download a sample file of your choice from WebShopApps’ Wiki and modify it to suit your purpose. There is no need to code anything in this process. 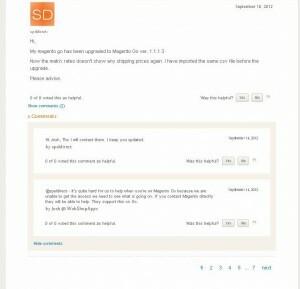 @letsnurture Hi There are no issues with Matrixrates on any version of Magento, please can you correct your blog. Email me if unclear. 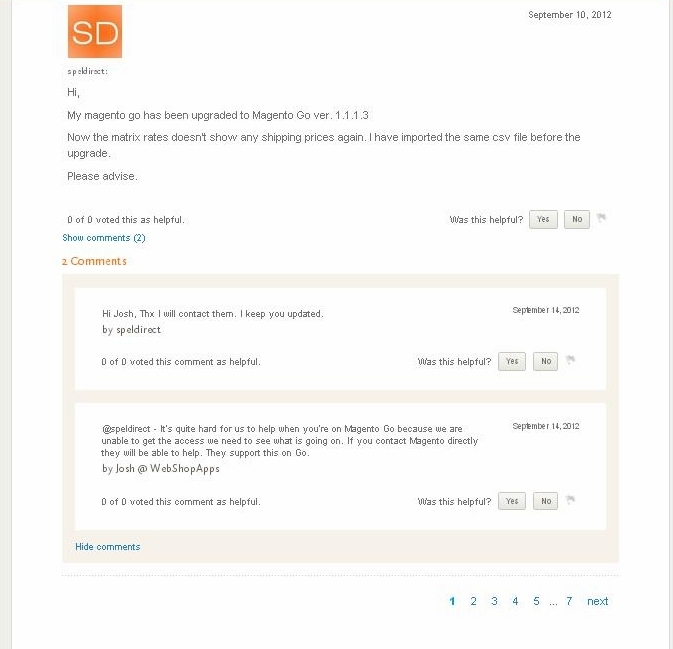 Our Magento Developers are very enthusiastic about using it and we will be deploying it on our stores.